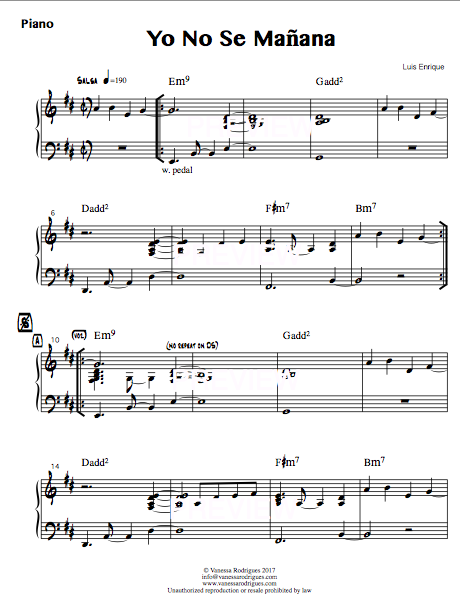 On this page you will find a catalog of complete* transcribed piano parts from famous recordings of Salsa songs. (That is, exactly what the pianist is playing on said recordings, and not an adaptation of the whole song for solo piano). 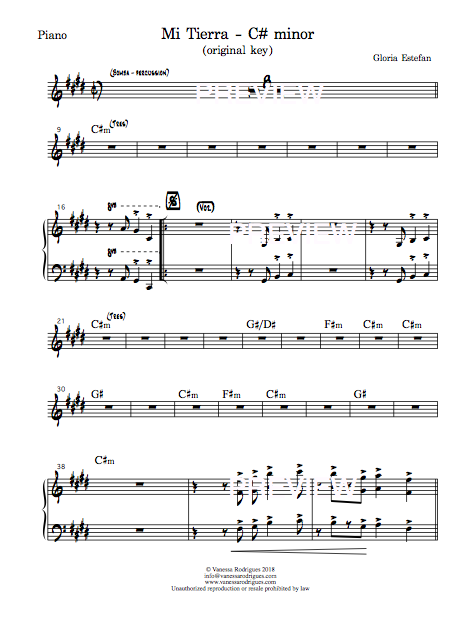 Includes midi audio file of piano part. You can preview the first page by clicking the icon for each song. *In the case of long repeated sections, a repeat is used rather than writing out the section multiple times. In the case of open horn solos, a sample tumbao is transcribed rather than the entire section; therefore, those repeated sections may vary a bit from the original recording.